A beautiful, easy to grow fertile hybrid, suitable for very damp to good garden soil. At its best in full or partial shade it is a strong grower. 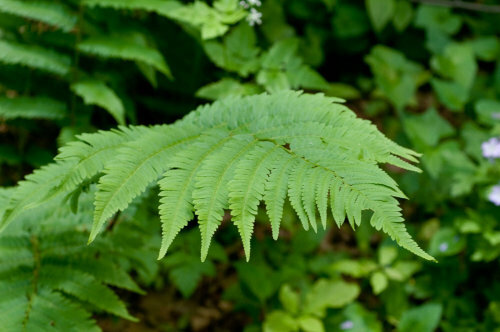 A hybrid of Dryopteris goldiana and Dryopteris cristata it shows many of the qualities of its parents, forming a green clump of evergreen/semi-evergreen foliage.